Great stay. All staff very helpful, from the time of booking to check-out. Excellent stay! Friendly and very helpful staff. Impressed with the environmental approach and will stay again on our next trip to the city. The breakfast is bountiful and the massage chairs heavenly. Had a fantastic stay in a centrally located but extremely quiet hotel, with helpful, friendly staff, thank you. Alto is always my preferred option in Melbourne. Great location, friendly and responsive staff and good value room quality. Really enjoyable. Great location, big room. Really good most comfortable hotel bed I have ever slept in everyone very nice and professional. I was very happy with every aspect of the hotel. The staff were very helpful and efficient. Communication both prior to and during my stay was excellent and the hotel's location makes getting around Melbourne a breeze. Fabulous! It was wonderful in every way. Great staff and location. Great rooms with the most comfortable beds. Opening windows also a big plus. Great for the environment in so many ways right down to the recycled toilet paper. Great breakfast. Free wifi was excellent. Thanks! Easily the best hotel we have ever stayed in. So clean, the staff were lovely and helpful, and the little things like the apples, hot drinks and cosy reading nook are just so nice. We will definitely stay there everytime we come back to Melbourne. Had a great time, especially impressed by the courteous and helpful staff. right from the get go the staff were pleasant and helpful, room was fantastic for what i was expecting and a lot more conveniently located to my needed transport than i thought. my only (small) gripe would be with my room's (103) bathroom door couldn't properly close as it seems the floor is slightly elevated or the door itself is slightly lower than it needs to be and can't latch into the frame, but this was easily forgivable considering the rest of my stay there. while I'm here I'd also like to apologize for during my stay when i had an unexpected blood nose late at night and a bit got onto the bed sheets, i cleaned it as best i could but couldn't get it all, so i was immediately impressed when i returned to my room later the next day to new sheets. We felt very comfortable and well looked after. Great stay that really suited our needs. Free Coffee and hot chocolate was wonderful. Enjoyed my staff and will stay there again when in Melbourne. It is a bit of a pity about some local construction noise but I know this is outside your control. We stayed twice in one week, with a visit to Phillip Island sandwiched in the middle of our first visit to beautiful Melbourne. We simply couldn't fault the Alto. Everything was perfectly presented and we really appreciated the little things like the umbrella in the rooms (which we did need to use a couple of times) and the complimentary fruit and coffee in the cafe. We loved the breakfast choice and the dinner on our last night was great too. We'll certainly recommend to others and stay again when we are next in Melbourne. We had a lovely stay - staff were very friendly and helpful about things to do in Melbourne, great breakfast, room was clean and comfy. 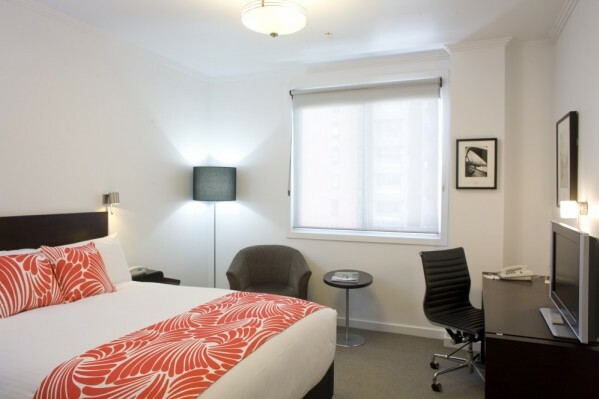 Outstanding hotel in the Central Melbourne area. Excellent service. Very comfortable bed. Really appreciate that free Wi-Fi is included in room rate! Very comfortable stay. Reception staff were all very nice and helpful. Rooms were clean and were sufficiently stocked . Breakfast was very nice however the service standards were not quite on par with the reception staff . The young girl servicing breakfast was inconsistant in her service and friendliness. I sat myself down as there was noone there to guide me and I waited a good 5-10 mins for the young lady to approach me and advise what the breakfast contained. Overall enjoyable stay and would recommend your hotel. Great location, very convenient to my business needs. Great freindly service. Found the bed room to be noisy with the trams and then the street sweeper. Well prepared breakfast; friendly atmosphere. Attentive and helpful staff make for a very good experience. entirely pleasant. convenient location. front line staff were largely very good. my family enjoyed ourselves. Fabulous location, great value for money. I would recommend it to others. Had a great stay and would definitely stay again and recommend to family and friends. Great service, great food. The kids loved the hot chocolates! Very good location and very clean. Friendly service and would like to give an excellent rating. Truly wonderful! Will be back. It was a good choice and a comfortable stay. Great place to stay, very clean room and serviced daily. Fantastic shower, and very warm beds. Coffee machine, relaxation room, library and apples were a welcomed surprise. Mostly excellent and great breakfasts. Very conveniently located etc. we did have a problem with the air con which we found impossible to turn down. It was far too warm at night and the doona was far too warm. We didn't mention this at the time as we tended to forget about it during the day. We really like your hotel otherwise and have stayed there previously. Please note that while we do our best to ensure no problem arises, if an issue is not reported, we cannot take action to fix it. Very positive and rewarding stay, good location, pleasant staff. I appreciated the sustainability and environmental initiatives that you have invested in.